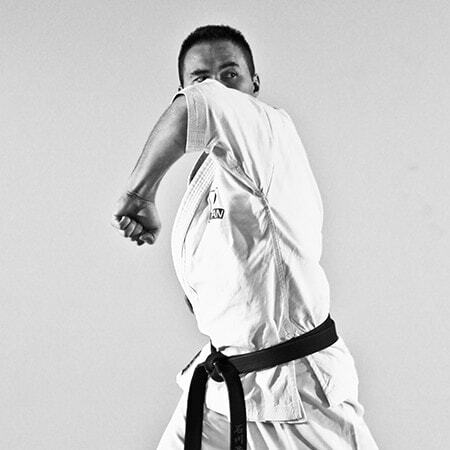 For Hiji uke, the basic movement can be found in Pinan Sandan and Chinto, where it is practiced in a large movement. 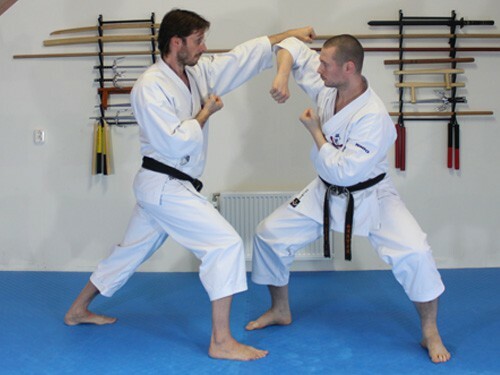 The Kamae that precedes Hiji Uke is considered a preparation for the movement that follows. 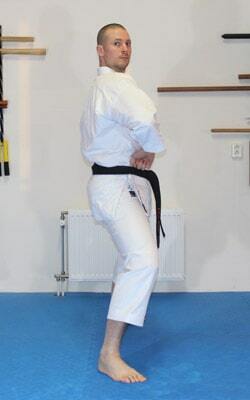 The Kata pictures below are a demonstration of Hiji Uke from Pinan Sandan and Chinto. 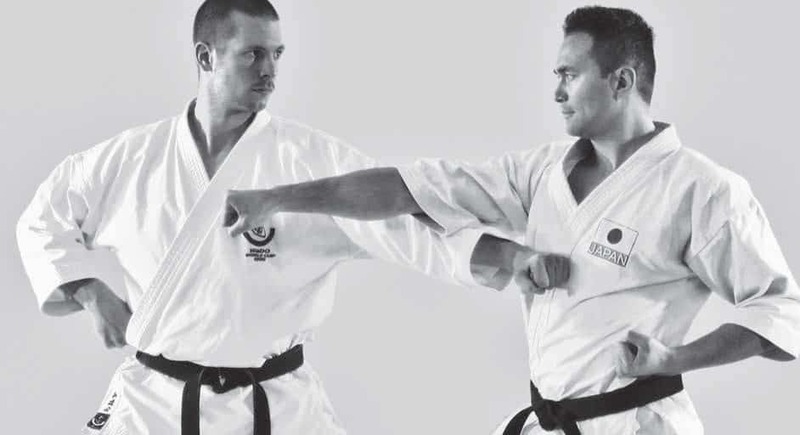 Note that some instructors do not open the elbow for Chinto. 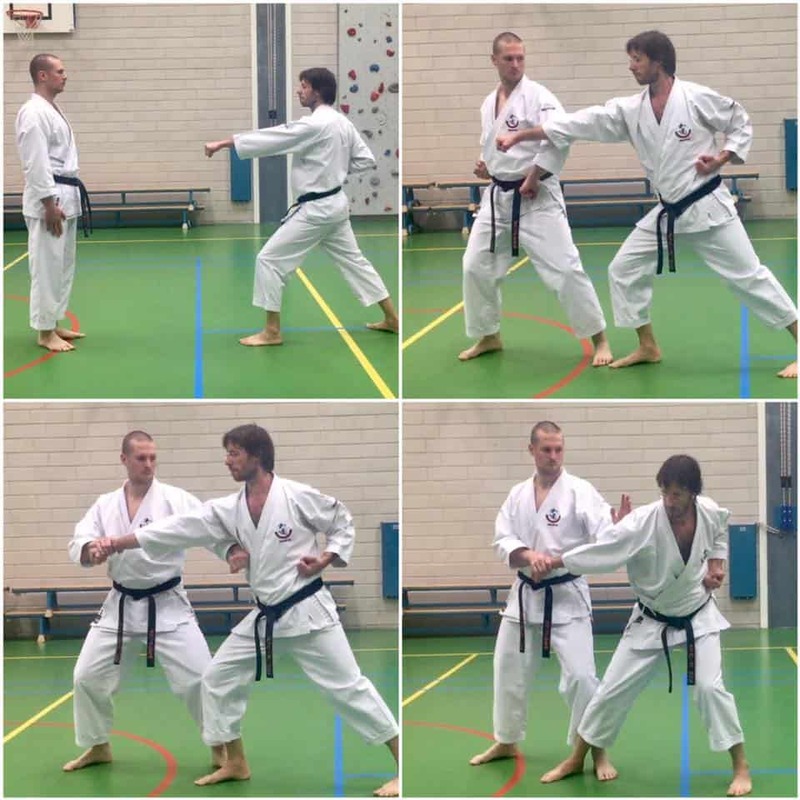 In both Kata, the emphasis is placed on rotation of the central axis (Seichujiku). 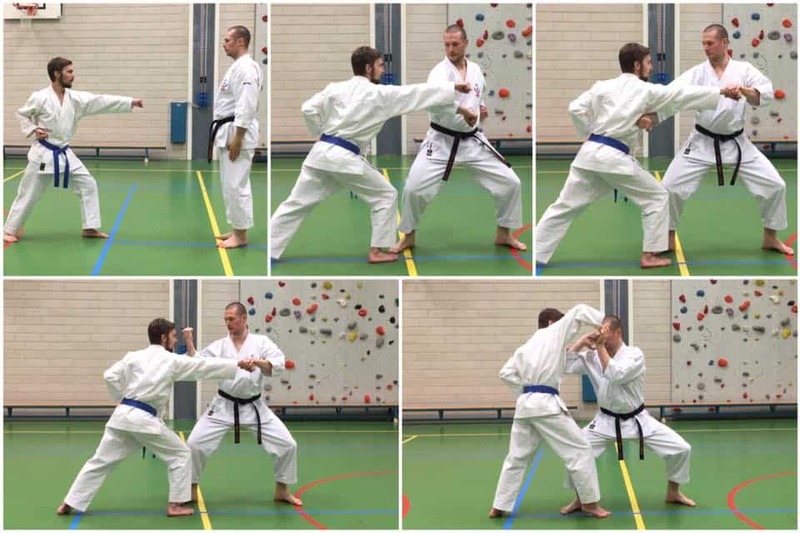 The video and the photo series show how you can use Hiji uke in combination with Seichujiku for close range. 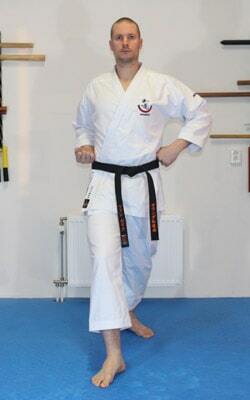 In Pinan Sandan, Hiji uke is trained in a large movement. 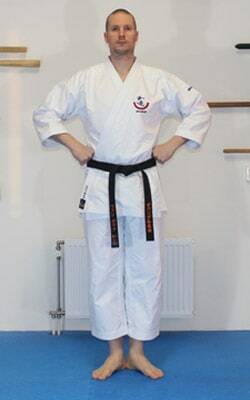 The step (Ayumi ashi) helps to master the timing. 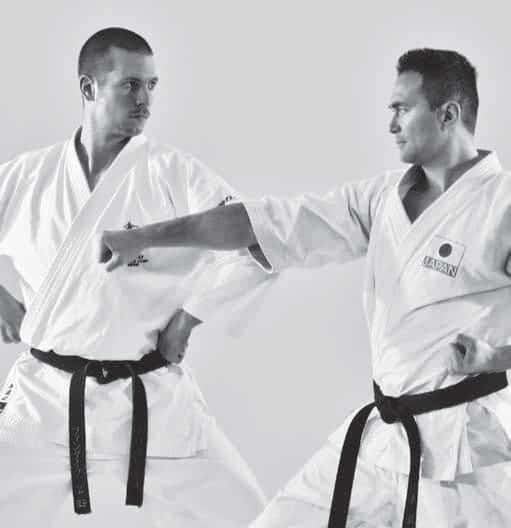 The movement in Chinto is more difficult than Hiji Uke from Pinan Sandan, because the movement is shorter and more direct. A practical example is working from a neutral position as shown below. 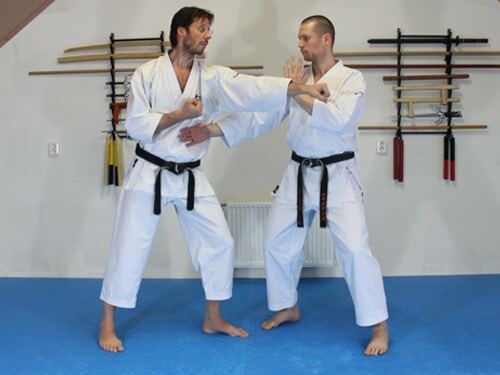 In this case you work with central axis in combination with your arms hanging relaxed by the sides of the body for protection. 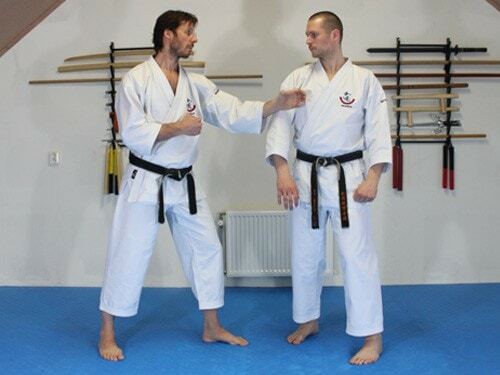 The relaxed arm can be used to parry or deflect an attack such as a punch or grabbing action with the body. 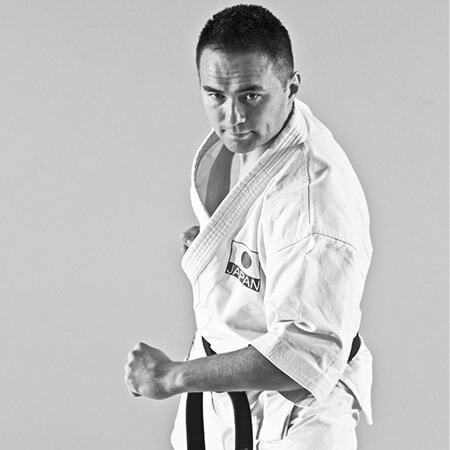 After Hiji uke, you can use the rotational movement of the body to execute shuto uchi to the floating ribs. 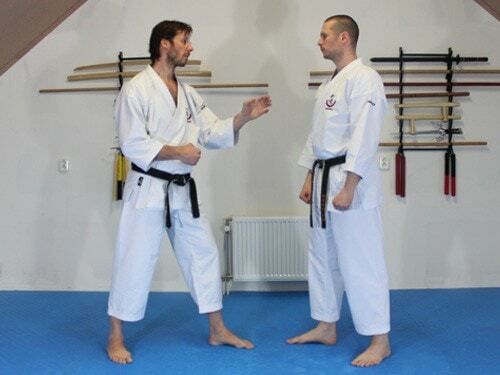 Control Ukemi at the same time with your right hand and make sure follow up and use both hands in harmony accordingly as you continue with chudanzuki. The working together of the hands is called Meotode. 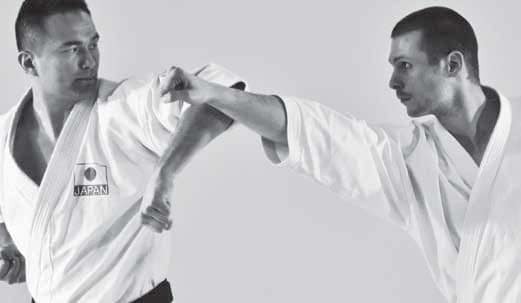 When it comes to actual self defense, you want to know what to do and what to let go of. Say the first move of Pinan Sandan. 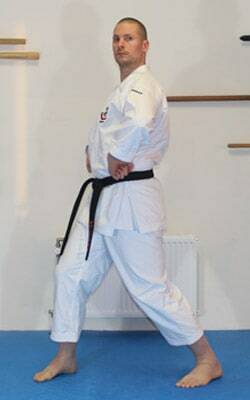 In self defence, do you care whether your Neko Ashi is proper or not? See how Hiji Uke can be used practically. You need to be logged in to watch this video. 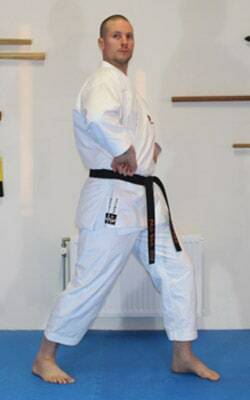 In Sakagami Sensei's syllabus, Hiji Uke is used in Ippon Kumite Tsuki Uke 7 and 8. First on the outside, then the inside. 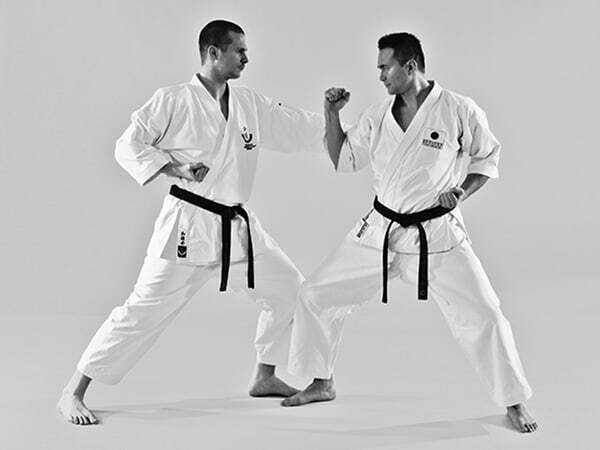 Note how Hiji Uke is followed by grabbing the wrist with the other hand. 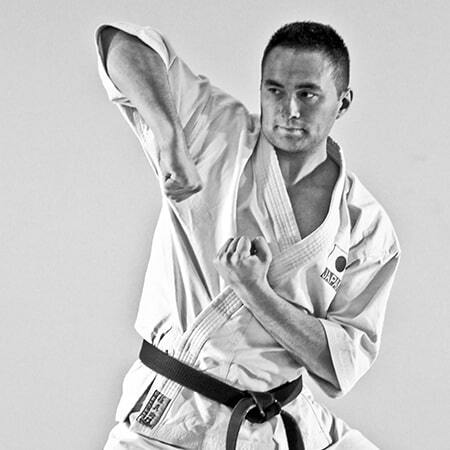 This Ippon Kumite uses the elbow to drop inside of Ukemi's attack. 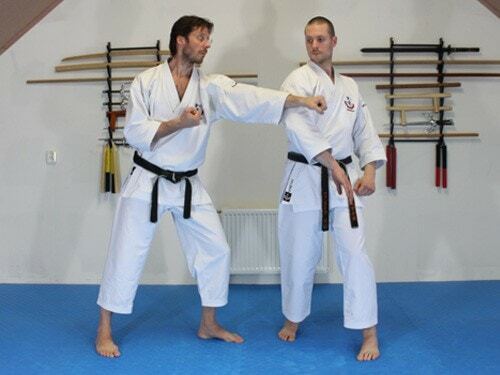 You can practise it in two movements to start with, as pictured. Once you get the hang of it, work towards more circular motion and do both movements in one go. 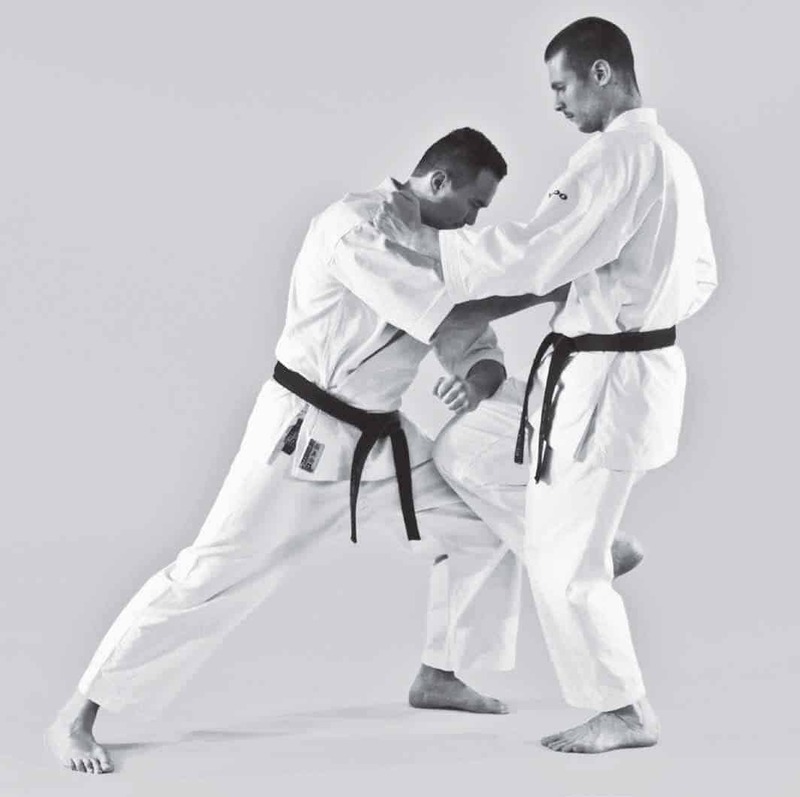 In other words, don't stop after Hiji Uke, but block and strike in one continuous movement. 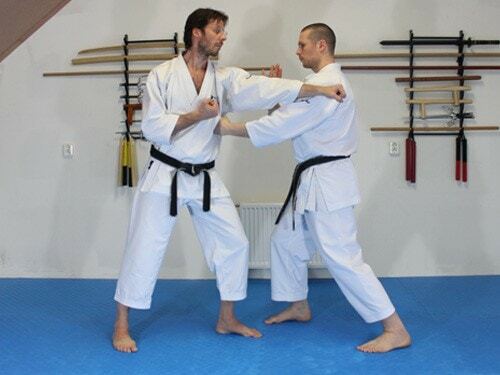 In Kaisetsu the back hand is still in Hiji Uke Gamae. 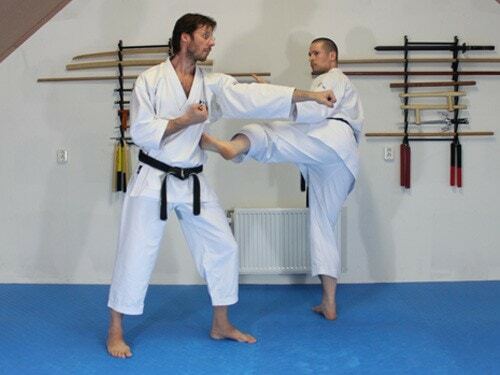 Of course, this is not necessary at all in regular Kumite and in fact not the best way. 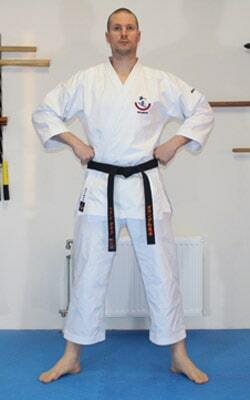 For Kata however, you need to create a situation where you can practise continuously.